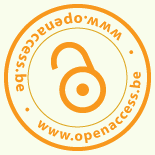 On 25th September, 2013 the University of Liege organizes a meeting/debate: “The future of Open Access“. With the participation of Stevan Harnad, professor at UQAM and a pioneer for Open Access; Bernard Rentier, Rector of the University of Liège ; Jean-Claude Marcourt, Minister of Higher Education of the Government of the French Community; Véronique Halloin, Secretary General of the Fund for Scientific Research – FNRS, and many others. The meeting is open to anyone without any registration.